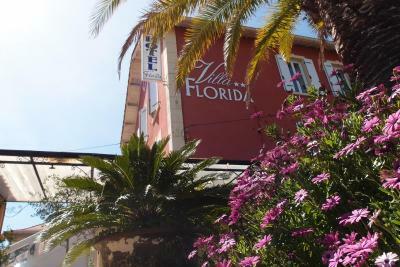 Lock in a great price for Hotel La Villa Florida – rated 8 by recent guests! Loved this hotel. 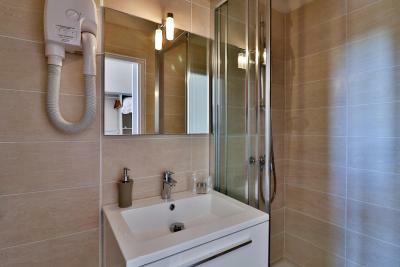 Tucked away in a quiet location yet an easy walk to town. Owners were very accomodating. 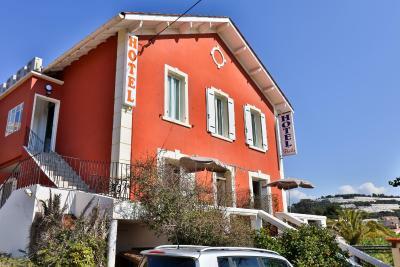 Definately pay extra for room with terrace and air conditioning. 1 night stay in mid June. 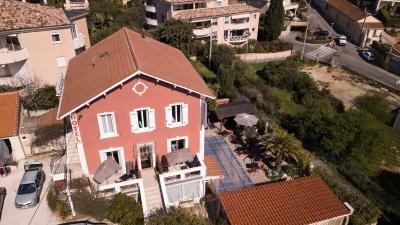 Great location 10 minute walk to sea front and resturants. Friendly owner. 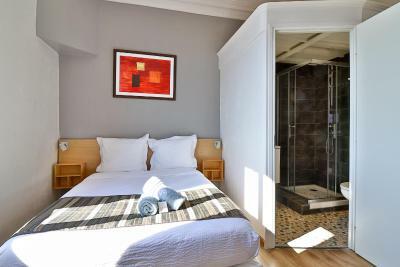 We had the garden view bedroom, perfect for us with a good size twin bedroom & bathroom, but choose another room at the hotel if you require air conditioning. Really good buffet style breakfast at optional charge of 10 euro per person. Small hotel car park but free on street parking close by. Would stay there again. The hotel is quirky and charming. Madame Anna was extremely helpful and kind and her dog is very sweet. Great hospitality. 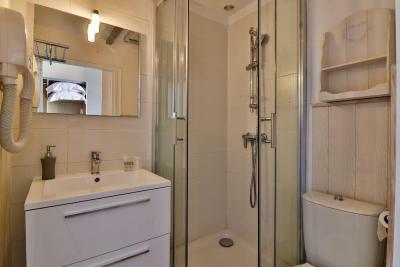 Great facilities, including space in the communal fridge for each room at the property. Beach towels for rent was an added bonus - meant I didn't need to bring as much with me. 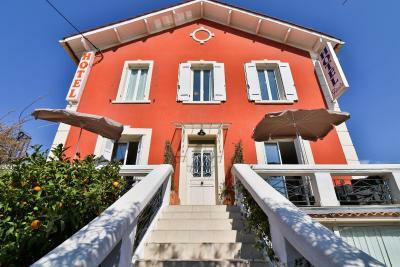 Nice small hotel in Bandol in very nice part of Bandol the hotel met our expectations. 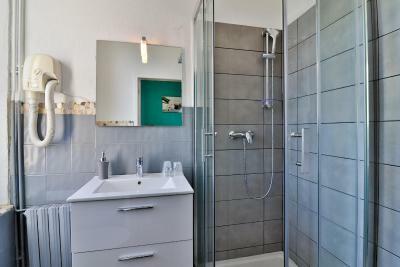 New bathrom and modern air condition are important for the confort. The staff was helpful and Betty the dog was very cute! Accommodated early checkout. 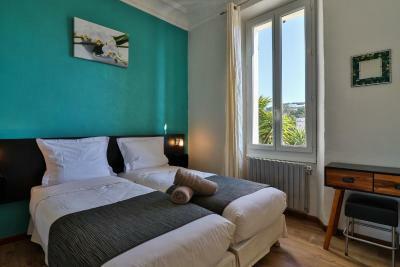 Prix très correct pour un hôtel très mignon et chambre plutôt confortable, l’hôtel se situe à 500 mètres du centre ville de bandol, très bon accueil également. 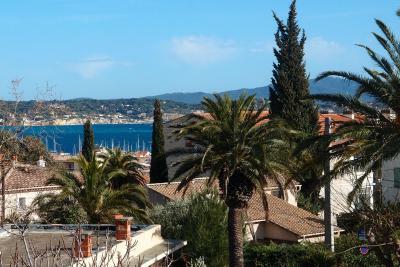 One of our top picks in Bandol.Located just 1,650 feet from Renécros beach, Bandol's city center and 850 feet from Bandol train station, Hotel La Villa Florida is set in a villa dating from the 1930s. 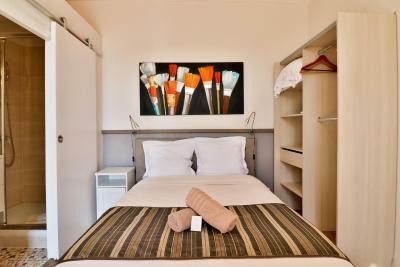 Featuring free WiFi, all of the rooms are equipped with a fan or air conditioner, a shower and a flat-screen TV. 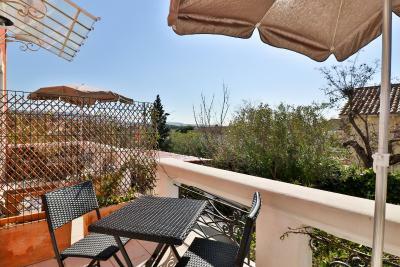 Some of them have a private terrace, kitchenette or sea view. La Villa Florida provides a buffet breakfast with sweet and savory items. 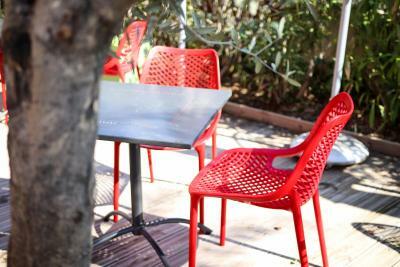 You can also enjoy a drink and relax in the garden. 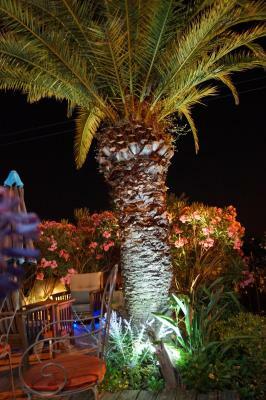 Many activities are available in the area, such as water sports, tennis, bowling and golf. You can also discover the Islands of Bendor and Cassis calanques. 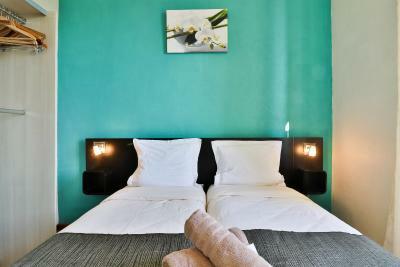 When would you like to stay at Hotel La Villa Florida? 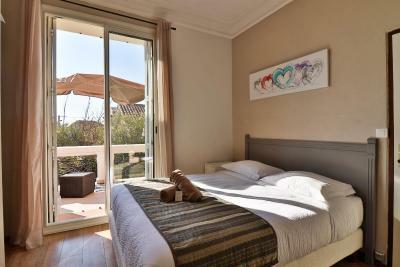 This air-conditioned room is located on the second floor and has a view of the sea. 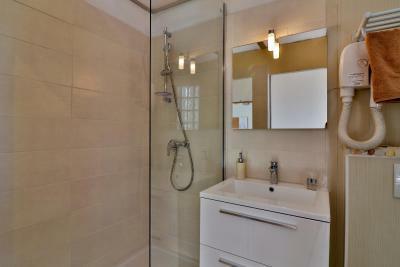 It is equipped with a flat-screen TV and has a private bathroom with a shower. An extra bed or a baby cot cannot be accommodated in this room. 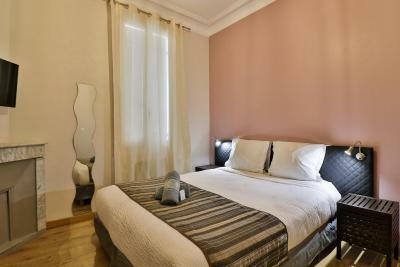 This south facing and air conditioned room has a double bed and a convertible sofa bed that can sleep 2 children. The room also features a private terrace. 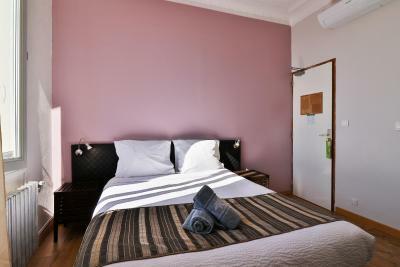 An extra bed or a baby cot cannot be accommodated in this room when sleeps 4. 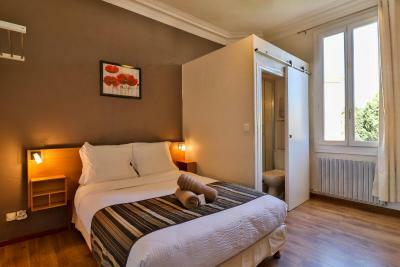 If the room is booked only for 2 people, a baby cot can be accommodated upon request. 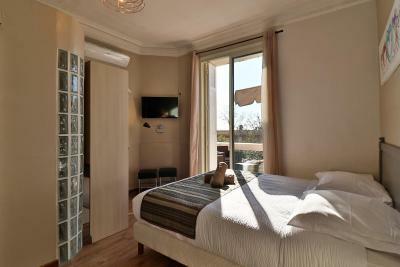 The air-conditioned rooms features an LCD flat-screen TV. 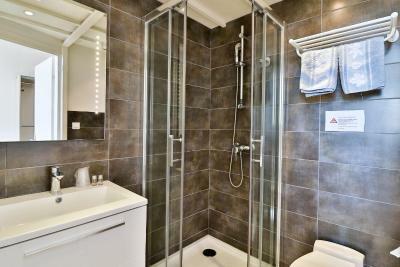 The private bathroom is fitted with a shower, toilet and hairdryer. This room is automatically configured as a double room. 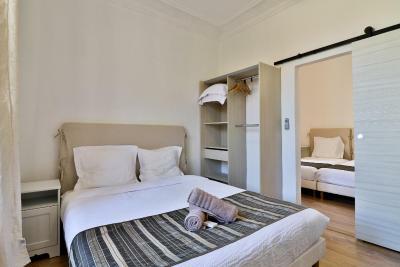 If you wish to have a twin room, please mention it in the Special Requests box when booking, or contact the property directly with the contact details provided in your confirmation. A baby cot can be accommodated upon request. 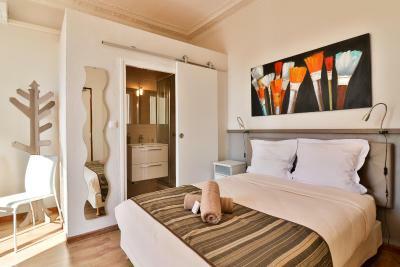 All rooms offer an LCD TV, a fan and a shower. An extra bed or a baby bed cannot be accommodated in this room. This air-conditioned studio features a furnished terrace, a flat-screen TV, a ceiling fan and a bathroom with shower and hairdryer. The kitchenette includes a stove, sink and refrigerator. 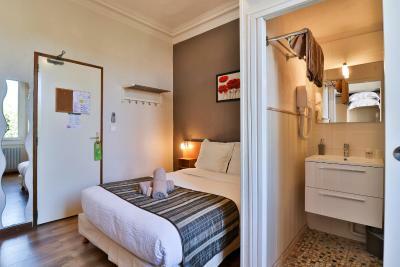 This room has two sleeping areas, one with a double bed and one with two single beds. Those areas are separated by a sliding door. 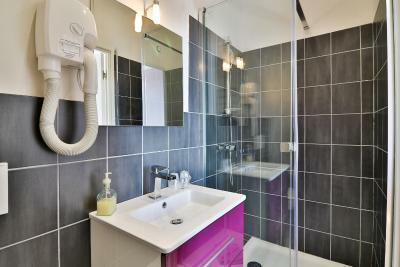 A private bathroom with shower and hairdryer is provided. 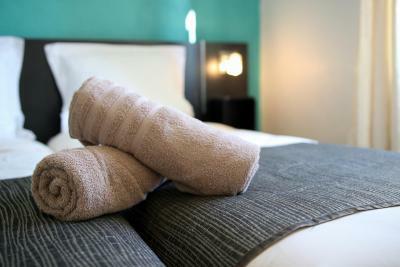 House Rules Hotel La Villa Florida takes special requests – add in the next step! 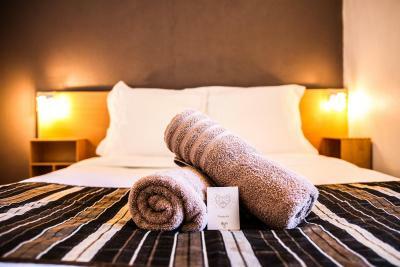 Hotel La Villa Florida accepts these cards and reserves the right to temporarily hold an amount prior to arrival. 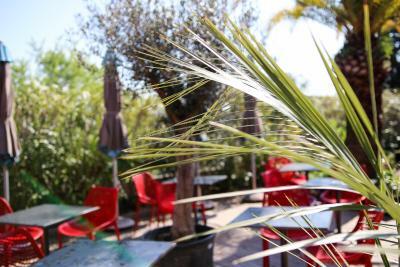 Reception opening hours: 08:00 to 13:00 and 15:00 to 20:00. Please note that all rooms are accessed by stairs only. 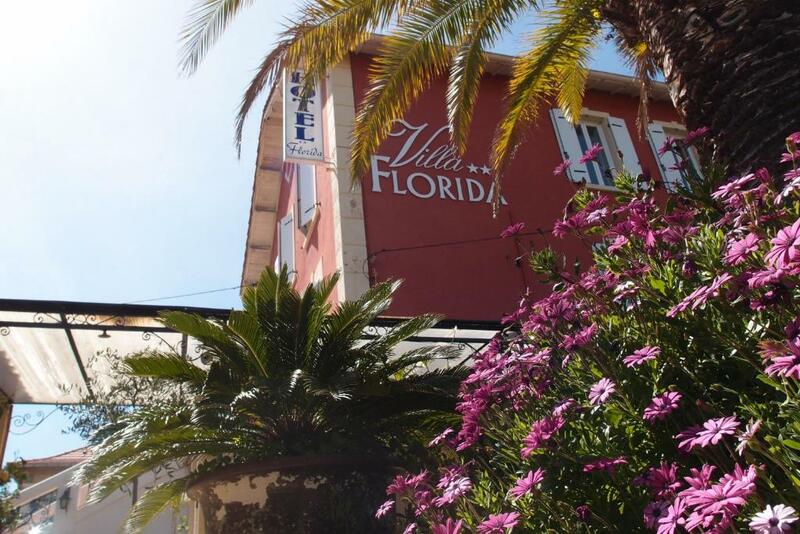 Please inform Hotel La Villa Florida of your expected arrival time in advance. You can use the Special Requests box when booking, or contact the property directly using the contact details in your confirmation. We had the family room, two interconnecting rooms but both small. No pool. Not all rooms have air conditioning. Be sure to ask.